Congratulations to Scottish singer and songwriter Emeli Sande who has just been announced as the BRITs Critics Choice for 2012. Made up of industry experts, Sande beat out Maverick Sabre and Michael Kiwanuku, and joins past winners like Jessie J, Adele (who is a fan of Sande) and Florence + The Machine. 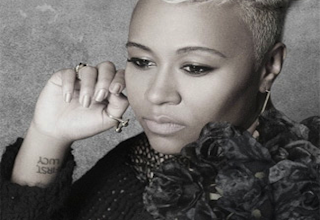 Emeli, who has written for Chipmunk, Wiley, Cheryl Cole and Subo, will perform at the Nominations party in January before accepting the award live on stage at the Brits, February 2012. Check Emeli performing her next single on Jools.